Drrr.comUtils - Added functionality to your chatroom! 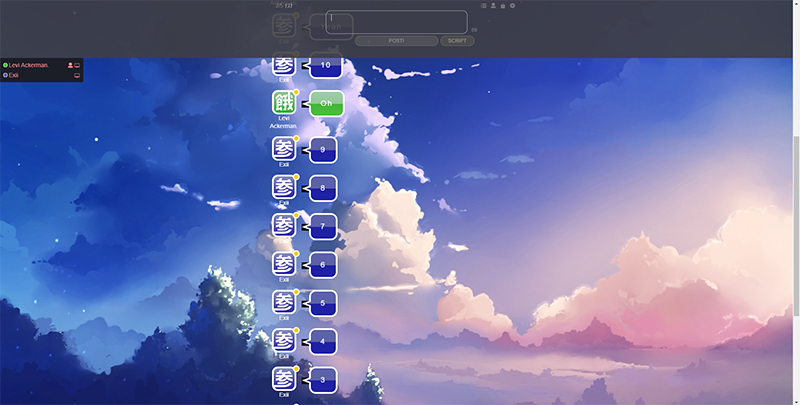 Drrr.comUtils is a userscript made by me, Exii (aka ニック/ReiwuKleiwu), with a lot of front-end help from @Levi aka. Levi Ackerman. This userscript is a helpful tool which will add some nice functionalities to Drrr.com Rooms. Read the Wiki for detailed instructions. 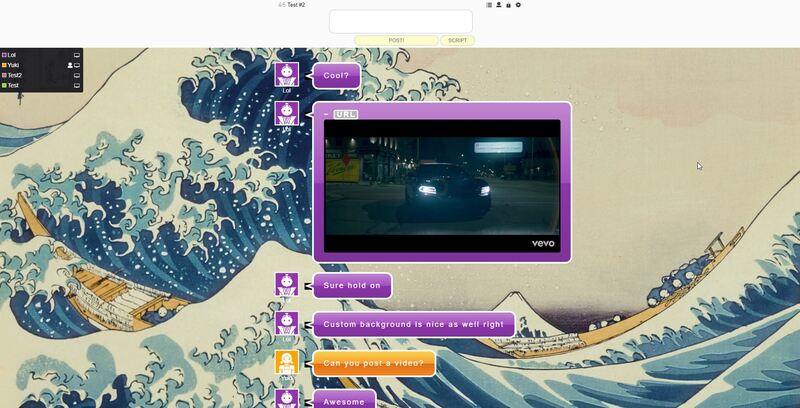 This feature will do exactly as it says, by changing the background of the chat room you're in. Simply input a direct URL to an image, using formats ".jpg", ".png", and ".gif", then click "SET". You can remove the background by erasing the URL, and clicking "SET" again. 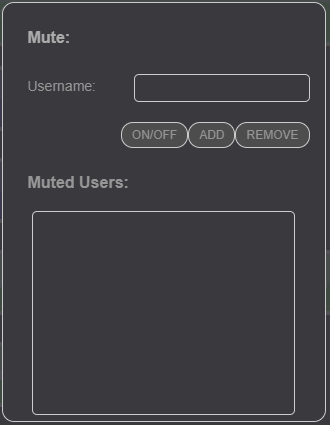 This feature will "mute" (hide messages) from those who are on your mute list. The whitelist is intended for people who wish to automatically ban EVERYONE from their room, except for the users listed in their whitelist. 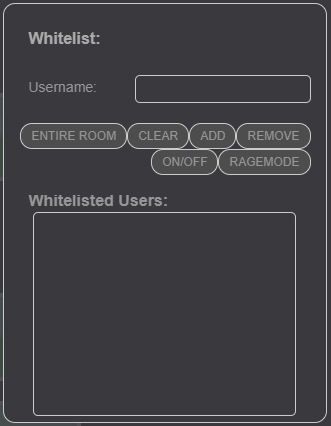 Always make sure to add yourself to the whitelist. The whitelist is for hosts only. 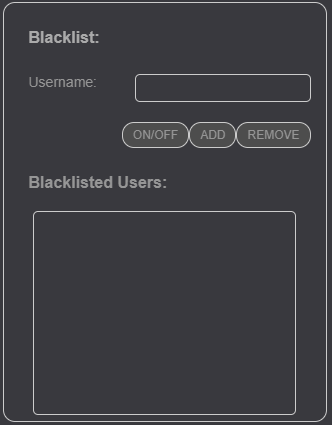 The blacklist is meant for users who wish to automatically ban anyone who they manually place into their blacklist. This feature is for hosts only. The Moderating System will allow you to add Co - Hosts to your room, in case your afk! 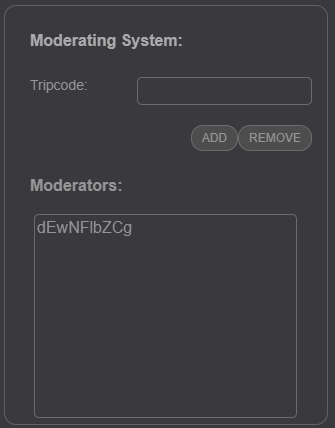 You simply add their tripcode (without the #) to the Moderator list. This feature is for hosts only. Drrr.comUtil comes equipped with YouTube Video Support. Whenever you or someone else attaches a YouTube link to their post, it will automatically embed the video into the message, giving you the option to watch the video without leaving the chatroom's tab. Please post any issues you have with Drrr.comUtils down below or into the official thread for issues on GitHub. I had this post bookmarked the day it was posted but @Jordan reminded me of it just a few hours ago, so thanks to him for that! Thank you Reimu and Levi for this. I'm going to host a drrr room starting tomorrow and this is going to come in handy. Really amazing job! 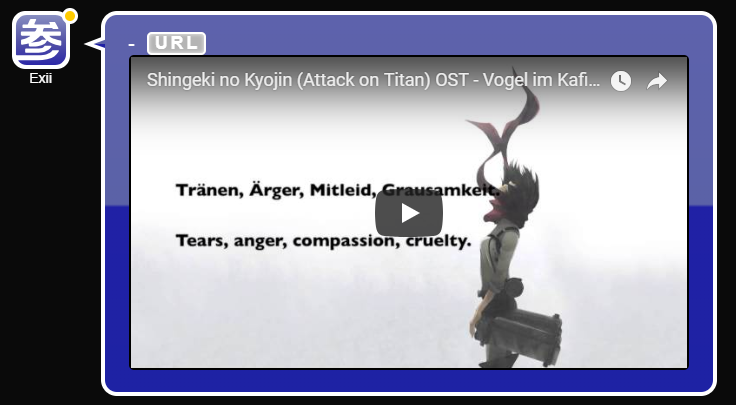 I was kind of bummed that the custom background and youtube embed functions were for the owner only, but the black/white list functions are good enough for me. 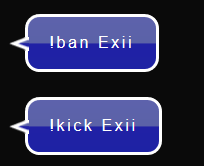 First of all, I'd like to thank both Levi and Exii for their fantastic work on this Script. I really appreciate all these added features, especially the moderation tools. - Layout optimization: Option to hide all options and features that require host for a less cluttered experience for those who just need the background changer, youtube iframes etc. I will Strike out features should they be added in this reply, hoping to keep it overseeable in the future. Jordan Thanks for your suggestions! Exii is of course the guy who did the majority of everything, so he's the right guy to talk to. Of course, it is up to him what he would like to add--- All I do is make the design look a bit prettier. I am curious about force day/night mode. For layout optimization, this is actually already available. You just click the "Script" button and everything will collapse appropriately. Youtube iframes happen automatically with no options displaying whatsoever, so the only thing you'd be left with after taking everything else away, is the background changer. I think it would be pointless to remove everything else just to have a single module showing. If anything, the rest of them could be ghosted to prevent a non-host from trying to use them, but removing them for visual purposes would actually make it more visually ugly, in my opinion. Everything else sounds neat, this is the first time I've heard of an in-room moderation system. I think that this may not be possible because of how the site is built, however. Unless there could be a forced host switch if a chosen moderator asks for it, there would need to be changes made internally. I added the wiki and my forum post for further information. A guy named "Lol" just showed this to me, he was testing it with someone called "Harry P." I think and it's just awesome, I installed it and it was just so easy, it took me about 5 minutes to install. The design perfectly adapted from the websites theme, it works for full screens with a Full HD resolution as intended. I tested every function as well, I read the Wiki which helped me A LOT. Everything worked as intended first try, I had NO LAG at all even with ragemode on, also the Mute feature is my absolute favorite thing about this!! I have no idea how you have done this, @Reimu but I would love to learn from you! I will look through the entire code and look how you have managed to do all of this! I mostly agree with @Jordan , I think a moderating system would be really cool. This deserves MUCH more attention imo. Just tell me about it and I will try to improve it in the next version. we could try together sometime if you want, so we can fix the issue. Some people forget to remove the "@" in front of the username. the script was executed after the member logged into the room. This is a serious delay. I completely rewoked the whitelist today, the delay should be gone. It was a serious issue which caused bans for no reason, I am very sorry for it. is it normal that the background is removed after refresh or room change?